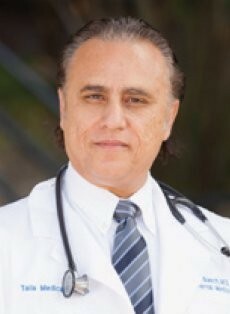 Dr. Michael Basch has been practicing medicine for over 18 years in the southern California area and specializes in internal medicine. Along with professional, courteous office staff and a world-class care facility, Dr. Basch provides top-quality medical care for Temecula and greater Inland Empire Residents. Most insurance accepted. With extensive training and medical experience Dr. Basch will be able to diagnose and treat many medical conditions. Call Dr. Basch's office to schedule your appointment today! Unprofessional staff Dr won't talk to patients on the phone in regards to billing questions. Went in for annual physical and was told when I got there they don't do that on a first visit and it was standard business practice. I took the office staff at the word and figured I'd have a quick first visit then have to come back the in a couple days to do my annual physical. Was in and out of the office within 15-20 mins including time for me to fill out family history. Got blood work orders and went right to get them done to find out they were not for my physical as I was told. I went back to get my physical and got the same blood work orders and I specifically asked if they were for my they annual and was told "yes". After I got it done got a bill with the primary code not being my physical. Doesn't following medicare guidelines for charging. Charged for a level 5 service when maybe a 2 service level was provided. spent a total time of less than 15 mins with me. Coded my bloodwork incorrectly. Won't talk to explain or fix it. Staff is rude and talks over you on the phone. Doctor and staff are wonderful, caring people and excellent treatment to their patients. Dr. Basch and staff are absolutely wonderful. I appreciate all of you. Excellent Doctor. My entire family is treated here. I have been coming to Dr. Basch since 2003 and I feel he is the most sincere Doctor I have ever had. Thank you Dr. Basch and staff. My whole family comes here. The staff is the most friendly I have ever ran across. Totally love Dr. Basch. Best Doctor and office staff I have ever had. Dr. Basch is amazing. The best of the best. Dr. Basch is an outstanding physician and I will recommend him highly to anyone. Very professional and pays attention to his patients with pleasant and outgoing personality. People like Dr. Basch makes difference in medical field. Best Doctor and staff ever have been to. Dr. Bash is the best. I love Dr. Bash and staff. Best dotor’s office staff have ever had Dr. Basch is amazing as Dr. and all around human being the best of the best. I love Dr. Basch and staff. I have been coming to Dr. Basch since 2003, and I feel he is the most sincere Dr. I have ever had thank you doctor Basch and staff. Dr. Basch is an outstanding physician and I will recommend him highly to anyone, very professional and pays attention to his patients, with pleasant and outgoing personality, people like Dr. Basch makes a difference in medical field. My husband and I love Dr. Basch! We are very happy with the service we receive from Dr. Basch and his staff. 1st visit-happy patient staff friendly, quick. This is the best medical office I have been to knowledgeable, helpful clean plus decorate earth. Caring we won’t move out of area because of this office staff too. Waited ½ hour in outer room then another ½ hour in patient room. I like Anna new PA.
Love the staff and the fact everyone is so helpful and cheerful! Very satisfied with Dr. and Nurse Anna. Best doctor and staff even have been too. Doctor and staff are wonderful caring people provide excellent treatment to their patients. Dr. Basch and staff are absolutely wonderful. Great staff and doctor been with Dr. Basch 20 years. Excellent doctor my entire family is treated here.